Desperately Seeking Adventure: Birmingham: Somewhere That I Used To Know? Birmingham became my student home some years ago, things change and places sure do change but I felt something different during my 2017 summertime visit. Taking a hiatus from China due to visa business and changing cities I returned to Birmingham for the night, it was a great day and night out but things felt very different. Had the safety of China changed me? 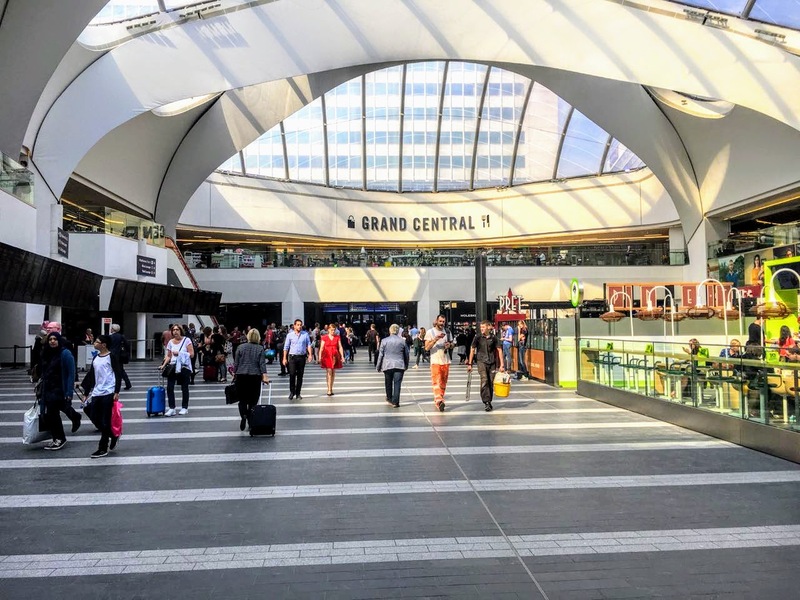 Arriving by the Midland Metro to the newly opened New Street Grand Central development showed me something new, looking closer I noticed the amount of homeless people and drug users had doubled compared to the time when I lived in Birmingham for university. After being in Wuhan, China for two years I hadn't seen more than five people begging on the streets, certainly I didn't see any drug users loitering around public transport or in any public domain. I felt uneasy, being in China during those first two years took me to an environment that was safe and free from any signs of homelessness on a full frontal level. Brum's Grand Central looked amazing and by no means I am not talking down on Birmingham, It made me feel uncomfortable to see such sights. With a harsh view on unemployment Chinese people work in any job they can to save themselves from homelessness, making those sights hard to find BH! Birmingham has had a reputation for being a shady place but during my uni days I paid no mind to those factors, turning the clock back some years I got used to see homeless people make their spaces but as mentioned before in China where I was living it just wasn't something I saw. I don't want to sound like I am beneath the United Kingdom because I have lived in other countries but I saw and felt different things during my overnight stop in Birmingham. I had previously wanted to move back after finishing my time at university but by the tired look and shadiness felt in the air I wanted that visa to be ready for my return back to China. Birmingham was cool to me during my uni days but things just didn't feel right during that August moment. Going back to the issue of homelessness around New Street, it definitely boils down to a social problem that the UK needs to sort out! I have firm plans to remain in China for a while longer, my last resort would be to move back to the UK. No! 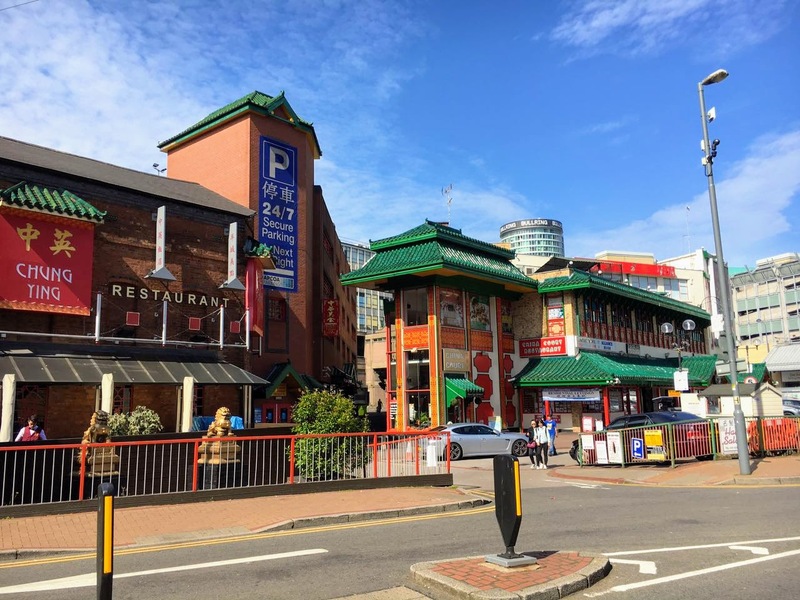 Getting back to Birmingham's Chinatown felt amazing, to hear Chinese languages been spoken and to see Chinese people felt amazing! I had only been back a few weeks but I was missing the Middle Kingdom like no ones business! Getting some good food at Peach Garden was nice, yes I had some hot water because cold water is just wrong! On the flip side it was great to be reminded of a certain Oriental flex, it was nice but to be back in China had to be the one. Hearing those languages being spoken in the supermarket where I bought the same curry mix that I used to buy in Wuhan at my local Carrefour supermarket, I was able to ask for a bag but that language wasn't Mandarin it was Cantonese, the language of Guangdong and Hong Kong. It was interesting to see people didn't like to hear Mandarin, being the language of the Mainland I sensed a negative energy, I know the politics. Chinatowns are cool but nothing beats China! Don't get me wrong, it was amazing to be back in Birmingham but something just didn't feel right. I returned to Birmingham a couple of times over my three month stay in the UK to catch coaches and trains to places like Leeds, Cardiff and to Gerrards Cross and I have to say I got this pang that I wanted to be back because I felt I connected with the place again but my real sense of being knew that my life had progressed so much since my uni days living in Birmingham, it just wouldn't fulfil my needs and aspirations. Chinatown in all of its Oriental worth gave me something to remember before I moved to China, it was a part of the city I connected with amongst other parts within Southside but after living in the Middle Kingdom it didn't come close, but I will still regard it as one of the better places in the city. I will always respect Birmingham for the time I spent there during my studies but things have changed with safety and I just don't feel safe there anymore. Brum I said what I said. In Wuhan I didn't have the opportunity to enjoy any Gay nightlife, I had to visit cities like Chengdu and Jinan to find such delights. With that being said I was excited to have a crazy night at The Village Inn, located in the heart of Birmingham's Southside. I had seen drag queens in Jinan and had danced the night away in Chengdu but I wanted to experience one good Brum night out in the village. 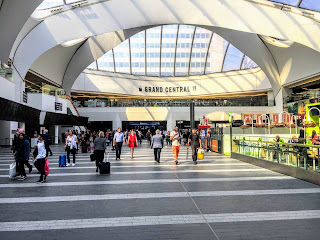 I was aware of Birmingham at night and had much experience getting back to my then student accommodation but that August night saw me stay in a hotel nearby the Bullring. With the night done I walked back to my hotel without a problem, the difference was I had to watch over my shoulder constantly and be vigilant, whereas in China I could walk down the street safely. Getting to the hotel reception I saw two door supervisors patrolling the reception, manning the front door, essentially protecting the staff. Why? My point was, how dangerous had Birmingham and other English cities become for those security staff to be manning the doors to the hotel? I questioned them in my inebriated state, asking them coherently why they were there and for what reason? I said to them that I had been living in China, a country that does have security guards but the presence of a uniform does the trick and in a society with rules and respect for authority there's never a cause to have such a presence of security inside a hotels reception area! I realised in that moment that things were changing in England and that I didn't feel safe in that moment, whereas I feel completely safe in China and even now in the capital the security presence becomes a normal part of everybody's day because people actually have respect for each other and for the police and the government. It's sad to say that during my next visit home in August 2018 I have no desire to visit Birmingham, I'll choose to stay in my family's company.